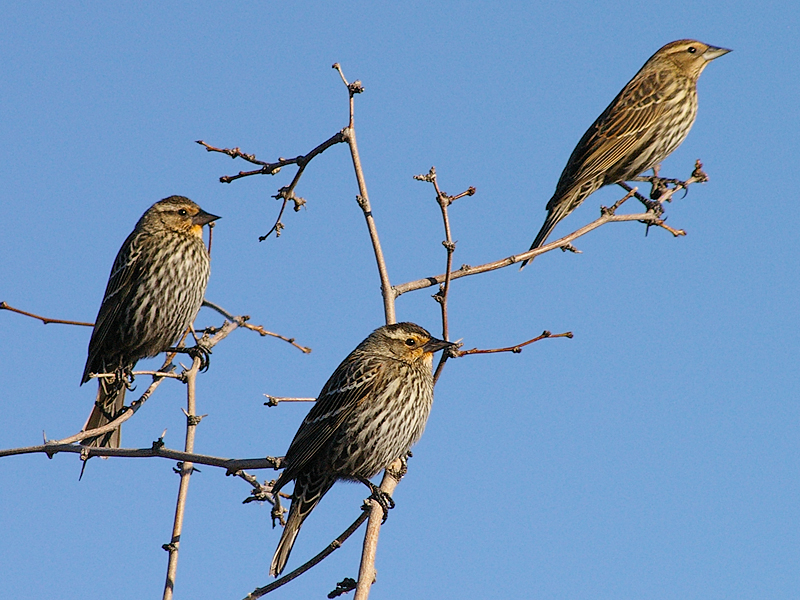 Groups of female Red-winged Blackbirds were observed moving through the trees on the north shore of Woodlake Pond in Carrollton, Texas. The birds were collected into small congregations of 10 to 15 individuals as they moved through the late winter bare branches. 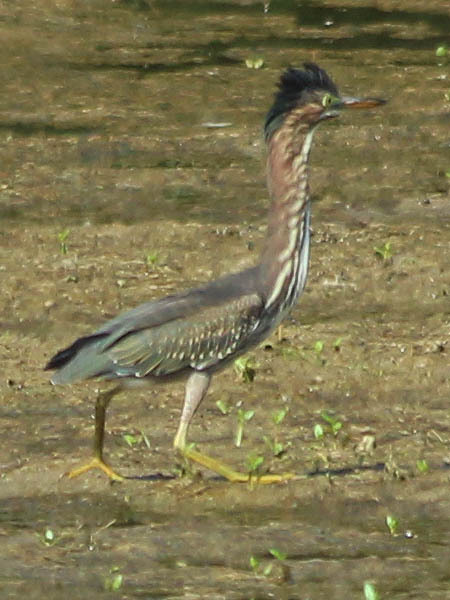 A short time after the females passed by, they were followed by similar groups of male Red-winged Blackbirds. 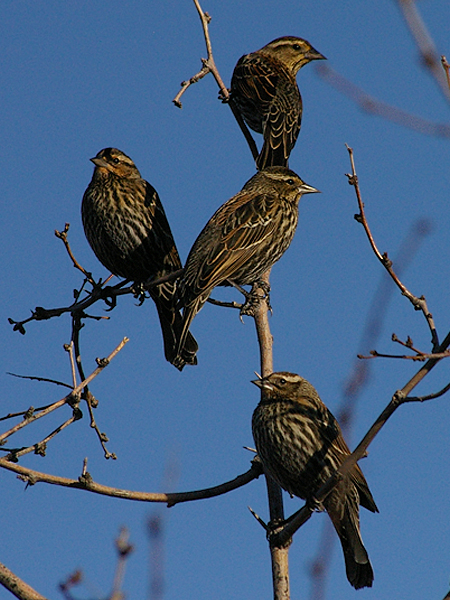 Groups of female Red-winged Blackbirds were observed moving through the trees on the north shore of Woodlake Pond in Carrollton, Texas. The female birds were collected into small congregations of 10 to 15 individuals as they moved through the late winter bare branches. 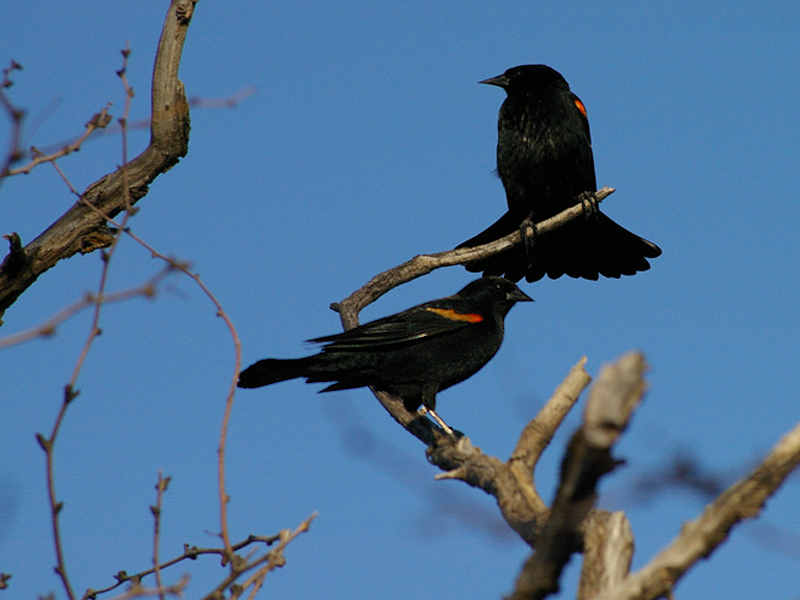 A short time after the females passed by, they were followed by similar groups of male Red-winged Blackbirds. Previous Previous post: Coyote – Good Morning!